The 24-year old has had a stellar year for both club and country which placed her in the final three players up for this award. In just over a week, the annual Asian Football Confederation Awards will be held in Bangkok, Thailand and Samantha Kerr will be one of the three finalists up for the AFC Women's Player of the Year award. The Sky Blue FC and Australian international is up against Korea DPR's Hyang Sim Sung and Saki Kumagai of Japan and Olympique Lyonnais. Kumagai has had a sterling 2017 but Kerr seems like the front runner due to her exploits at the club and international levels. 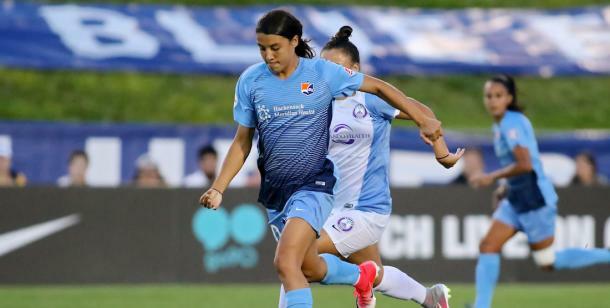 For Sky Blue FC, Kerr was close to unstoppable in the past National Women's Soccer League season. Although her team did not make the playoffs, Kerr was the standout player in the league and ended up winning the 2017 NWSL MVP award when all was said and done. Kerr scored record-breaking 17 goals in 22 matches and picked up four assists, putting in some incredible performances to either draw her team level or get three points time and time again as the season wore on. Five of her goals were game-winning goals and she added to her overall NWSL total, finishing 2017 with 43 goals which is also a record-breaking tally. 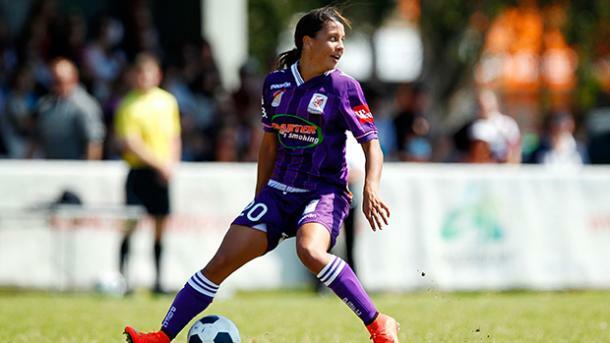 Kerr is expected to return to Sky Blue next year but right now, is currently playing in the Westfield W-League for Perth Glory FC. In two games, Kerr has already scored two goals and her team will need her to continue on her brilliant form to help them push into the playoffs this season. For many players, they don't necessarily translate their club form once they reach the international level but Kerr is not one of them. In four games, Kerr has scored seven goals, including an impressive hat-trick against Japan in the Tournament of Nations. In fact, her performances helped Australia win the competition and gave them their first ever victory against the United States of America on their way to finishing top of the standings. 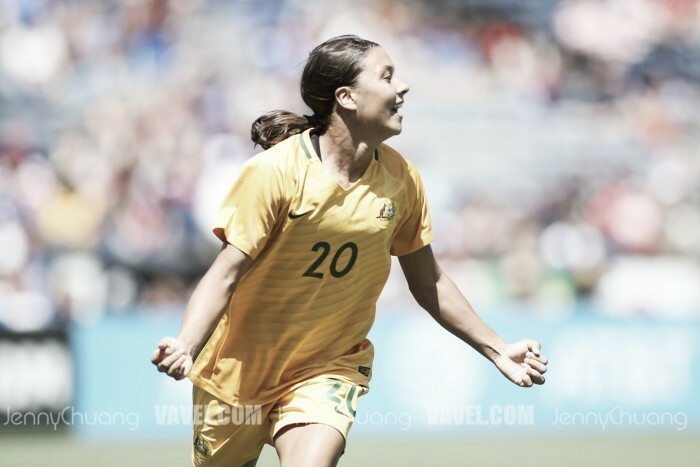 Kerr then went on to score three goals in a two game series that Australia had against Brazil and once again showed that she is only getting better and better as a player. All of this puts her ahead of Kumagai as the potential winner for the AFC award and it would be deserved.